Tens of thousands of Italians rallied in Rome Sunday (30 September) for the centre-left Democratic Party (PD) as it seeks to rebound from a shock defeat to a populist coalition in June. A banner deployed in the Piazza del Popolo, or people’s plaza, declared that those present represented “The Italy that is not afraid”. The nation is on the frontline of the European Union’s struggle to stem migration from Africa and the Middle East, and it roiled financial markets last week when the new government appeared to ditch a stringent public deficit target in favour of increased spending to honour a key electoral pledge. “We are in the presence of irresponsible (leaders) and ne’er-do-wells,” exclaimed former PD leader and Italian premier Matteo Renzi in reference to the heads of a government now comprised of the anti-system 5-Star Movement and the far-right League. The PD is in dire need of a solution itself meanwhile, having slid from a stunning victory in 2013 through a string of defeats to the final blow in March when it recorded its worst-ever result, winning just 18.7% of the vote in a general election. Along the way it lost control of cities such as Rome, Turin, Venise and Genoa, a traditional stronghold. Renzi resigned but that has not stopped the party from losing support. “There is a risk it could sink even further,” political scientist Roberto D’Alimonte at the Italian Centre for Electoral Studies (CISE) told AFP. “We are living in unstable times, it is hard to forecast” what might happen next, he added. According to CISE surveys, the PD has lost much of its traditional base, concerned by economic inequality and illegal migration, and become a party that represents the upper middle class. 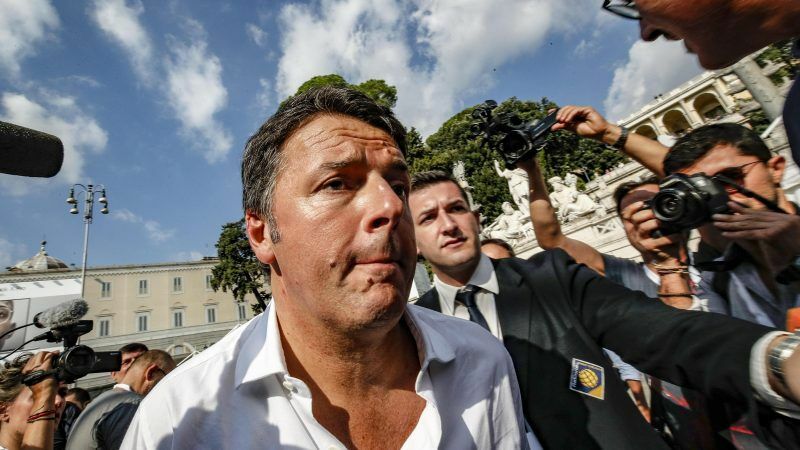 As for Renzi, who still wields considerable influence within the party, he has become “a bit like (former OM) Silvio Berlusconi for Forza Italia, a burden” that is pulling it downwards, D’Alimonte said. The daily La Repubblica wrote that the PD offered “the spectacle of a party on its last legs, with leaders tearing each other apart against a background of alternating, chaotic theories” on how to bounce back. A recent opinion poll credited the party with around 16% support.